prefers to go by its new moniker, the “Venice of America”, catering to a more upscale European crowd and a blossoming art and culture scene; go for a stroll on the Riverwalk to see this in action. Still, though the city is working hard to move past its decades-old reputation, its weather and white sand beaches are as beautiful as ever, ripe for sunbathing, snorkeling, and breaking out your tiniest bikini. Stay at one of the city’s many beachfront resorts, luxury hotels, or budget hotels to enjoy all the city has to offer - and don't forget to grab some fresh seafood at one of the many restaurants. mid 70s (24C). 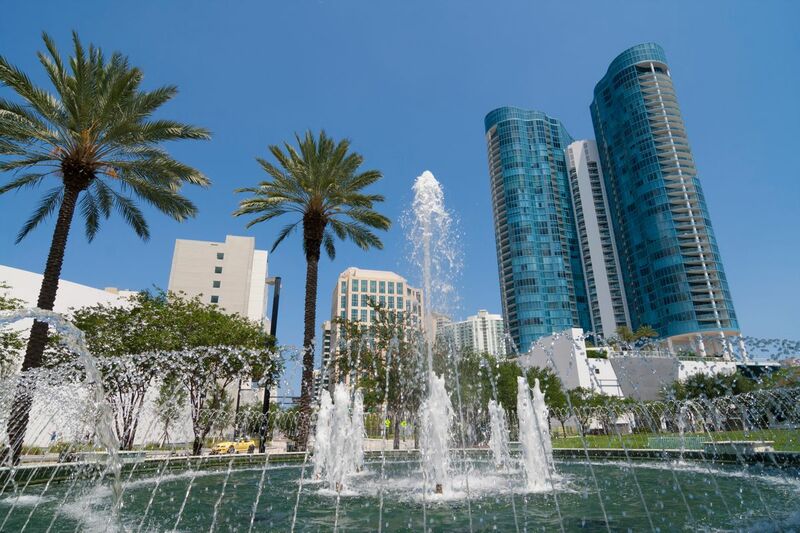 While battling the crowds is normally something to avoid, this area has a pretty tolerable high season, in part because there are enough hotels to handle the spike, and also because the city is alive and buzzing with exciting activity, including the splashy Art Basel Miami Beach in December, during this time. The alternative would be to come between May and November when the weather is hot, reaching 90F (32C), and hurricanes are ever-looming. One of my favorite cities in the US! Las Olas is always fun to walk down and try out new restaurants. A quick trip from many locations. Stay for a weekend or a week! Sun fun and beaches in the day and great food at night! This is a nice Florida city especially if you have money. Nice housing, shopping and restaurants. Traffic and tourists can seem to be problems however. I had a one night stay in Ft. Lauderdale before boarding the ferry to Bahamas. Contain some cardiovascular training in your weight loss diet and lose more weight! Doing this a couple of times throughout the week will boost your weight loss diet a bit. Almost every year i spent my vaccations with my family in Fort Lauderdale. The beachs are perfects so the restaurants. Fishing in Fort Lauderdale, its an amazing experience. All you need is a boat, fishing gear, live bait, and sunscreen. Since almost every species of saltwater gamefish in this hemisphere. Renting a boat from Sailo platform is a great option since they provide captains for this unforgettable experience! 2nd cousin to Miami, and straight North on A1A, Ft Lauderdale is a good place to take a break on the beach and enjoy the Sun.